Having confirmed the techno-populist prime minister Giuseppe Conte, Italian president Sergio Mattarella is now seeking to impede the nomination of Eurosceptic Paolo Savona as finance minister, who could become the linchpin of the populist plan for Italy’s economic reboot. Not even Savona’s most vehement adversaries dispute his competence, showering him with epithets such as “illustrious,” “brilliant,” and “accomplished,” while attempting to undermine his confirmation by other means, such as suggesting that the Salvini-backed economist would undermine the goals of his political partner Luigi di Maio. Savona’s plans for Italy’s economic turnaround are no secret, since he laid them out in black and white in his provocatively titled 2012 book Eresie, esorcismi e scelte giuste per uscire dalla crisi: Il caso Italia (Heresies, Exorcisms and Smart Choices to Come Out of the Crisis: The Case of Italy). A fierce enemy of statism, with its economic counterpart of the nationalization of industry, Savona used his book to attack Italy’s unchecked public spending and fiscal irresponsibility, prime causes of its massive public debt, along with political unwillingness to support greater initiative in the private sector. 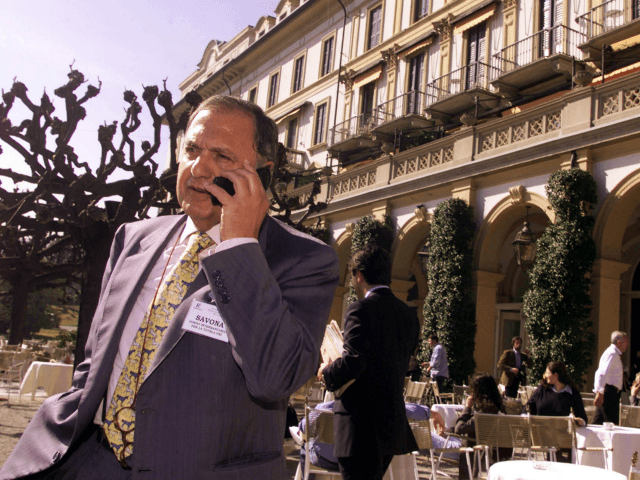 For years, Savona has asserted that Europe’s common currency has hurt the Italian economy and undermined Italian sovereignty, a fact that is central to the resistance to his nomination. Already in his 2001 book with Carlo Pelanda Sovranità e ricchezza (Sovereignty and Wealth), Savona had criticized the political vacuum created by the abdication of Europe’s national leaders in ceding too much authority to the European Union. The Italian president, who has negligible executive power in normal governmental affairs, acquires disproportionate importance in the establishment of a new government, and is responsible for naming not only the prime minister, but also the other government ministers. In the present case, Sergio Mattarella, who is moved both by his personal diffidence toward Savona and the pressures from establishment politicians both inside and outside Italy, would very much like to see Savona gently set aside in favor of a more politically acceptable candidate. At the same time, he must maintain at least the appearance of respecting the wishes of the parties put into power in the March 4 elections. The nomination of the 81-year-old Savona have also raised the specter of market instability, which not only should not be a central consideration in such an important decision, but often is deceptive. A case in point was the initial reaction of markets to the election of President Donald Trump. After plummeting in the first hours after the election results were in, the market executed a swift turnaround and spent the next several months in steady growth. Over the past 24 hours, Mattarella has suggested his hand is being forced in efforts by the 5-Star Movement and the Lega to “impose” Savona’s nomination. Matteo Salvini’s reaction to Mattarella’s accusation was straightforward and clear.